Cats are crazy about objects that are always moving and for this reason the toy has been designed in a roller shape. The playing roll can be both charmed and gripped but also hunted at the same time which ensures a lot of fun for your cat. Cats can also snuggle up to the roll perfectly thanks to the elongated shape which makes the Playing Roll ideal for cats who like cuddling and snuggling. 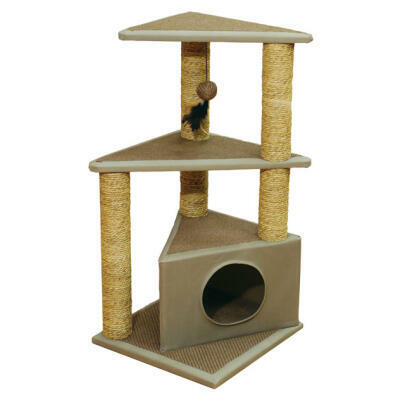 The catnip mix consists of dried blossoms and leaves from different types of catnip. Catnip blossoms appear in different colours from white to pink and purple, while the leaves of the catnip plant have a light smell of mint and lemon. The leaves, stems and flowers contain actinidine and nepetalactone, which makes the scent irresistible for cats and ensures they'll love playing with their Minoumi toys!